I am not sure I have ever seen anyone look quite so determined and focused. Moments earlier, the school caretaker had unshackled the school gates. Mr S, without hesitation or deviation, headed for the main entrance. I followed. Mr S demanded to see the headteacher, Mr M. He explained why. I asked if I could be present. The previous day, we had taken a large group to Ormesby Hall as part of the study we were doing across school; each year group focusing on a particular level of our fictional family tree and their societal level. We walked there and back – forty fives minutes each way. It had been my idea. It was wet, and got wetter. I focused on the debate around Q.1 in an earlier blog here. This blog focuses on Q.2. As I did in focusing on Q.1, I have attempted to prise out key themes and ideas, acutely aware that my choice of words might impact on any given reader’s receiving of them. I make no attempt to anonymise, as such. Rather, I paraphrase or use my own words. Where I feel it is appropriate, I quote directly and attribute credit. 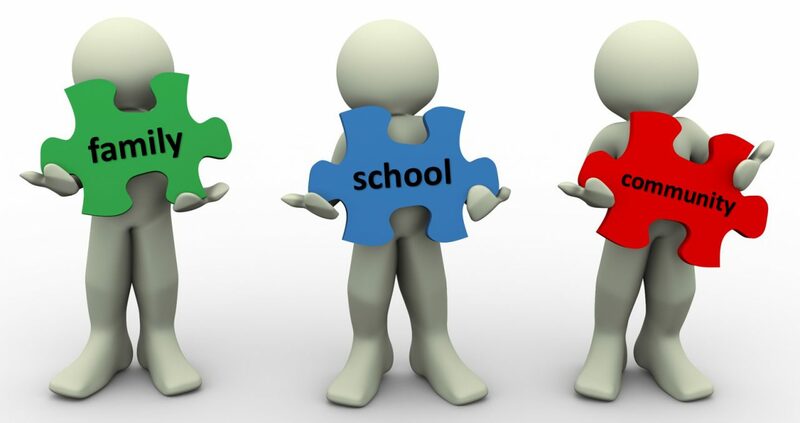 Parents want the best for their children and strong relationships can be forged if school is sensitive to reservations (whatever they may be) parents/carers may have around engaging with school. It is for school to invest in the relationship, coming from a place of compassion rather than judgement, so building trust. Schools must work with those parents who may be disengaged with education and/or school so that they recognise the value of their child engaging with school. Standing with parents, as a friend and advocate, a constant, will assuage any fear had of engaging. Patience has to be exercised and time given to breaking down barriers such as the carrying forward by parents of negative school experiences, seeing school as an extension of authority. Strong partnership comes through trust building, relationship building, and that takes time. Trust is not a given. Parents must be seen and engaged with as equals. Every minute invested in partnerships, persevering, whatever, is worth it. This leads to a tipping point. A movement. Schools must remember to ask parents what they want, and not make their own assumptions. Engaging communities where there is an absence of trust is challenging but must be done. That requires good leadership, with the leader(s) taking responsibility. A non-judgemental approach is absolutely critical, with no suggestion made of there being a best ‘way’. Parents can be seen as hard to reach if we adopt a “school-centric mindset”. If conversation focus is solely on homework we are not accounting for more important other issues. A child’s education reaches past our gates. Are we aware of what learning goes on outside? Having a designated family support officer, who is there to give a wide range of support to families, is a great way to learn about what families want and need. Parents need to see school leaders on the school yard, engaging with them. We (schools) do not know everything. Conduct a needs analysis and be proactive. Deficit models – implicit or explicit – do not make for true partnership. Ask parents what they want, not what they need help with. Consider the implications of power and who is seen to be holding that. As for Q.1, shared in the first blog, I will not draw any conclusions or attempt to project my own thoughts or experience on what has come from this, the second part of this Community Engagement debate. As said, I think that would be an abuse of privilege. The privilege being that so many participants gave up their time to engage in this debate, addressing an agenda set by myself, and myself having a special interest in this field. More on my interest and what I offer here. I will, though, now focus on something more specific that featured in the #SLTChat debate. As for Q.1, I had given some considerable thought to the wording of Q.2. Something I intended returning to, to find out more. By pure coincidence I found out a whole lot more when participating in the ‘Coaching in Education: why bother?’ event, this week. Having been ‘in conversation’ myself, I then passed the baton to @LouMycroft and marvelled as Lou talked of the power in the Thinking Environment coaching approach. This was further revealed when modelled by Lou ‘in conversation’ with @CollectivED founder, and inspiration behind the event Professor Rachel Lofthouse. Subject to Rachel’s approval, along with fellow participants and colleagues Lou Mycroft, Ruth Whiteside, Jo Flanagan and Rebecca Tickell, I would like to draw on my learning from the event and compose a discrete blog on the place for a coaching approach to community engagement. That is for another day. For now, I repeat the words spoken by Lou as she explained the Thinking Environment approach: “The hardest bit is keeping your mouth closed.” And later, modelling the approach, “What do you think?” Maybe the power of the approach is in its simplicity, if difficult to enact, for some? George explores what he means by ethical actions here. Getting our parents to really talk to us about their family situation has had a huge impact. However, you only get 1 chance to prove to them that you have the power to help them. This is how trust is built. We use Structured Conversations with guidelines that are adhered to and ensure most of the conversation can be steered by the parents and not us., this way they more happily open up and sometimes we find out things about the family we didn’t know. “Because they work!” Bretta says. And they do. I know that from personal experience. I share my experience here and here (note the comments to the blog posted by a parent and a teacher (fairly new to the profession) and their thoughts on the process). The structured conversation, introduced and advocated by Achievement for All, incorporates approaches of active listening, solution orientated psychology and problem solving within a clear four stage framework (explore, focus, plan, review), ‘as a means to understand the parents’ hopes and concerns for their child and to engage them in a collaborative relationship that would support their child’s greater progress and achievement’ (Day, 2013, p.36). National evaluation evidence based findings are very positive about the Achievement for All structured conversation model. Parents reported feeling more included in the process of their children’s education, more empowered, and have sensed a change in the dynamic of their interactions with school staff. @SLTChat: Absolutely. Is there ever such a thing as a ‘hard to reach family?’ Is this about language and mindset? Chris: Have visited schools that took meetings into the community, including a room in a pub, to break barriers. Some schools have buddy parent interpreters on playgrounds to share newsletters or pass on information; harnessing available expertise. Janet: One school called it “Using the wise women and men of the community” – particularly those who already work in/around the school – they see how much teachers care about children and can pass that on! Chris: Yes. One school brought a community lead onto the Governors and used this link to transmit essential information. Janet: Yes – such a good idea. One group of HTs asked me to talk about how they could integrate more with the community – my reply was to stop just talking to other heads and talk to community leaders! Chris: Essential to know your community if you want positive engagement. From M. Wheatley’s ‘Willing to Be Disturbed’ – when we listen with less judgement, we always develop better relationships with people. Every family desires that their children exceed them in their quality of life. Family engagement ensures that can happen. Hear hear! I am acutely aware that this has turned into a very lengthy blog but I do feel bound to share all of this with the many participants who made Sunday’s debate such an interesting and useful one. If you are still with me… thank-you. I will finish by returning to the event shared at the very beginning of this blog. The two men turned to a beaming Mr S and I. They shook us both by the hand and thanked the children for making their day, and more. Partnership! Thank you, Mr S! Fascinated by this blog Simon especially as I recall the “Journey in Stone” video and presentation in Caedmon very well. As you may recall “Community Engagement” was very much part of my role in Teesside 2003-2010, but I had already spent 20+ years focusing (experimenting, researching & developing) on it. I managed to provide approaching 100 workshops for parents, surestart, & local organisations and without doubt the most frequent message was “WHY DIDN’T WE KNOW ABOUT THIS BEFORE?”- in fact it prompted me to write my first book. I know you are very busy but I’m happy to discuss this with you via e-mail keeffeeley@hotmail.co.uk if you wish.